More often than most companies would care to admit, when advertising a product for cheap, that’s what you get. Cheap. There’s a reason that the item is being sold for less than it normally goes for on the market, and businesses don’t want you to know about it. But that’s where Superior Granny Flats differs. We believe in honesty, integrity, and hard work. 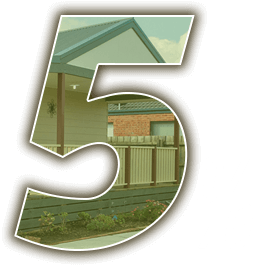 So when we say that we are selling cheap granny flats around the Gold Coast and Brisbane, the only thing that’s actually cheap are the numbers you’ll be seeing on our prices. We’ve been in the business of manufacturing standard and custom flats for the past thirty years in all different areas of Australia. We know our stuff, and we value our customers. With our lowest price starting at $37,000, the prices of our granny flats can’t be beaten. Each individual flat comes with a bedroom, bathroom with a working toilet, sink, and shower, as well as a walk-in closet. All of the basic necessities for a small guesthouse or additional room are included. But just because our lowest priced range sounds basic doesn’t mean that it has to be. With a full bar of adjustments and customisations to choose from, you can turn your granny flat into a small getaway to a modestly proportioned home. Design your granny flat the way you want it. Colouring, finishing, and materials are all up for you to decide if our standard flats don’t peak your interest. We can add extra bedrooms for a total of three within the flat, sectioned heating and cooling, and even a kitchen with room for all of the appliances you could ever need to cook a small feast. You may worry that because of our low prices, we make up for it somewhere else. Maybe running the air conditioner will cost an arm and a leg, or running electricity will be expensive. For a limited time, we are offering the installation of Daikin heating and cooling when building your one of a kind flat. This will save you hundreds of dollars of installing the systems yourself. And with the way that our flats are designed; insulated from floor to wall as well as the ceiling, sealed windows and doors fitted with draft protection, you won’t believe how cost effective having a granny flat can be. Call us today for a risk-free consultation with one of our designers. We will go over the building requirements as well as discuss your budget so we can build your flat without breaking your wallet. If you would like to see our granny flats in person, you can visit our showroom in Victoria Monday through Friday during our business hours of 9AM to 5PM. Our phone number is 0419 540 393. We can’t wait to hear from you!